Check out our special offers, and save big on your next Siding, Roofing or Replacement Windows Project! 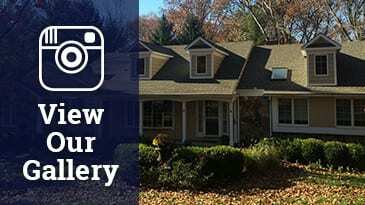 For a limited time, we’re offering the following special offers – available only to residential, single-family homes in Morris, Union, and Essex counties. To take advantage of one of these special offers, click the ‘Redeem Offer’ button below and we will follow up to schedule your free, no-obligation consultation and quote. We hope to hear from you soon! Receive $500 Visa Gift Card with purchase of $10,000 of new James Hardie siding and trim. Save $500 on a complete GAF roof with purchase of 2 or more GAF system components. 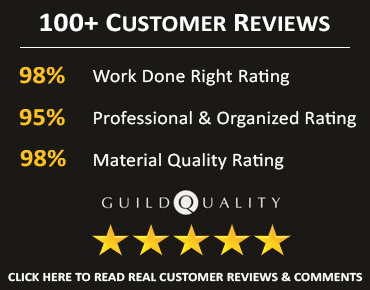 Free upgrade to the GAF Golden Pledge Warranty – the best roofing warranty from GAF. Receive an extensive roof tune-up and inspection for $99. Please see our Roof Tune-Up page for more information. Faulty gutters can cause water to overflow and seep into your home’s foundation. Don’t let your savings dry up by overspending on costly repairs; replace your gutters for less with this money-saving offer! $399.00 for 100 linear feet of high-capacity, 5-inch gutters or downspouts. Receive 50% off Gutters and Downspouts – Seemless hidden hanger gutters and downspouts, white only, remove old gutters and haul away all debris. Install custom extruded gutters and or downspout for only $5 per linear foot (REGULAR PRICE $10 per linear ft). Free upgrade to the GAF Systems Plus Lifetime Warranty – the best lifetime roofing warranty from GAF. Only 1 offer redeemable per household. Offers cannot be combined with other specials or offers. Offers not redeemable on previous or existing contracts. Offer codes will be sent via email and must present email to Sales staff at initial visit, prior to written quote. Offers expire 60 days from issue date. Other restrictions and conditions may apply – please ask for more details. American Home Contractors is rated 4.9 out of 5 based on 331 reviews from around the Web.